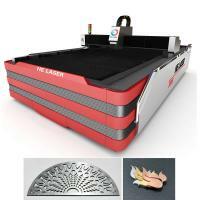 HECF-3015I fiber 1000W metal laser cutting machine adopts imported rail and heavy racks, Japanese Panasonic servo motor and driver and American laser mech laser head. All this parts match well with each other, machine’s stability is great. Our this fiber 1000W not only can cut stainless steel, carbon steel, also can cut some high reflected materials, such as the aluminum and copper. Meet every customers’ needs. 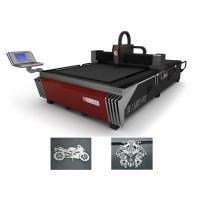 HECF-3015I fiber 1000 metal laser cutting machine, which has the advantages of simple structure, light weight, less welding, convenient processing, easy to install and operate. In addition, the machine can be packaged to one part, easy to transport by container. 2.Customer can come to our factory training . 2. We will supply after service 24 hours,customer can contact us any time. 3.When some problems can’t be solved by customers, our engineer can go to door to help. 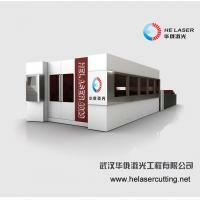 Wuhan HE Laser Engineering CO., LTD was founded in China Optical Valley in Wuhan in 2008, which is a high-tech Sino-foreign joint venture integrating product research & development, manufacturer and sales. The enterprise owns two subsidiaries (Wuhan Healy Laser Technology CO., LTD. and Hubei HE Laser Technology CO., LTD.), and three modern factories (HE Laser Optical Valley Factory, HE Laser Phoenix Mountain Factory and HE Laser Jingshan Factory). 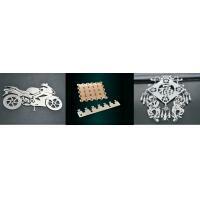 Our laser cutting machines are passed the European CE authentication and are certified by ISO 9001:2008. 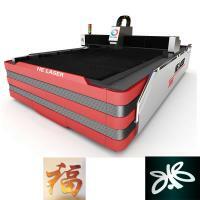 As the pioneer in the research & development of laser cutting complete sets of equipment in China, HE Laser has recruited a group of senior experts in laser field in China, Russia and Japan to form an world top laser technology R&D team. With advanced laser technology, pioneering innovation spirit and rigorous professional attitude, HE Laser has been leading the innovation of international and domestic laser products and has been one of the world’s first-class manufacturers of intelligent laser equipment. Over the past ten years, the enterprise has won more than 50 national patents, and over 20 new technologies have won the national and provincial science and technology awards. 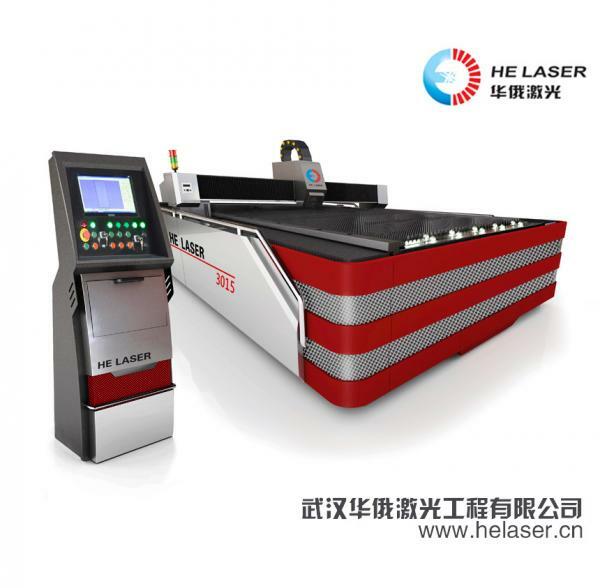 HE Laser has launched 15 series of over 60 models of laser cutting machines, pipe laser cutting machines, laser welding machines and automatic laser cutting production line. 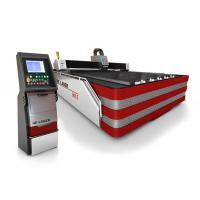 These laser machines are widely applied in aerospace, automobile manufacturing, rail transportation, machinery manufacturing, chassis cabinets, hardware hutch defends, household appliances, forestry machinery, fitness equipment, door industry, advertising, new energy industry and other fields which need metal cutting processing. 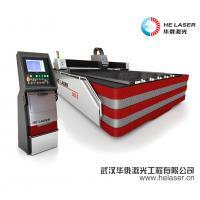 HE Laser always committed to provide the professional and fast comprehensive application solution for the sheet metal processing market. 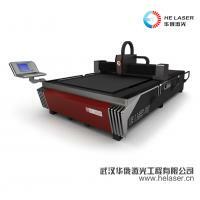 The Laser machines of HE Laser are best-selling in both domestic and international market, and the market share rapidly increases year by year. The company has provided the all-round and fast pre-sale, sale and after-sales service for customers of more than 80 countries and regions around the world, providing on-site installation and training services for every domestic and foreign customer. HE Laser will continue to deepen the research & development of laser technology and related core devices, accelerate the industrialization of research & development results, and as well as the development of automatic production line supporting products. 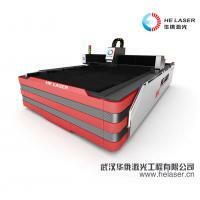 In future, HE Laser will continue to be guided by the concept of "Innovation, Cooperation and Mutual Benefit" and focus on laser industry, trying to build a leading world-class laser manufacturing brand. 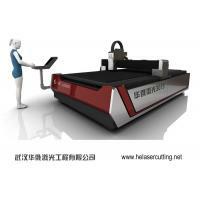 Join hands with HE Laser, and get accomplishments for you and me.